This is a case where I really am glad that I inked this picture. The figure of Aquaman is much more clearer than in the pencilled version. In the pencilled version, his body was a little murkier and is harder to distinguish his body and the shadows of the ocean. Another thing that the inks show off more is the bubbles surrounding his face. In the pencilled version, the bubbles got kind of smudged together and hard to separate with one another. But since the bubbles are more distinguishable, it makes the picture more detailed. In the previous post, I said that the wave shadows look better with a gradient, but I also said that crosshatching is not as good looking for something as fluid as water. However, I did crosshatching more or less. 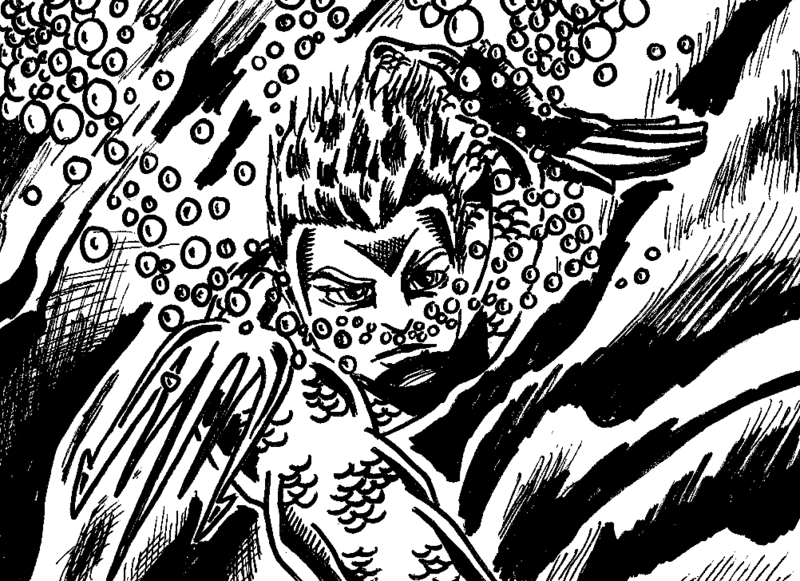 Well, I drew fine lines to with varying the thickness of lines with the water waves. 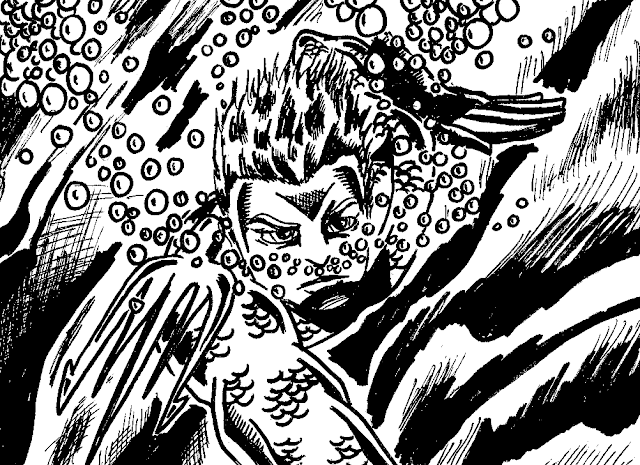 It also helps that I used more brush strokes from a Copic marker which makes the underwater waves fluid.